You may have heard the hype about holistic therapy, but what exactly is it? A form of healing, holistic therapy aims to achieve optimal health and wellness by aligning all parts of a person, including their body, mind, spirit, and emotions. It’s based on the belief that if one of these aspects is off, it will affect all the other parts. Many healthcare professionals are using holistic therapies in conjunction with traditional forms of treatment to help patients, especially those living with chronic pain. And holistic therapy isn’t just for people in pain. It can be extremely beneficial for anyone who’s looking to cope with stress or find better harmony and balance in their life. All too often we run on autopilot—driving carpools, dashing from work to the grocery store, and attending social events without consciously thinking about what we’re doing. Mindfulness meditation is the act of bringing your attention to your breathing in order to connect with what’s happening in the present moment. This simple technique has been shown to decrease stress and pain for those with health issues, such as cancer. But it can also help us feel calmer in everyday life. Meditation may improve sleep, memory, and attention span; it also helps regulate your emotions. Best of all, it can be done at home, at any time. Find a quiet spot, inside or outside, with minimal clutter and distractions. Set a timer for however many minutes you want to meditate (start with 5-10 minutes and work your way up to 30 minutes). Sit or lie on something comfortable. Drop your chin a bit and lower your gaze. You can keep your eyes open or closed. Once you’re in position, relax your body and focus on your breathing for as long as you can. Zero in on the air moving through your nose or mouth and the rising and falling of your chest. If your mind begins to wander, don’t stress; it’s natural. Gently bring your attention back to your breath, as many times as you need to. When your timer goes off, notice your environment and how you feel physically and emotionally. 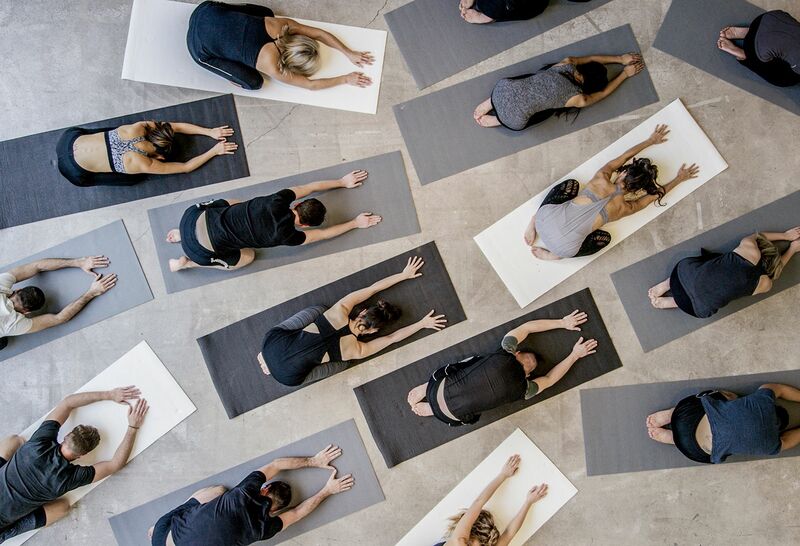 If you’re looking for something a bit more physical, consider yoga. Like mindful meditation, this technique involves quieting your mind and focusing on breathing while you flow through a series of physical poses that build strength and flexibility. “Yoga is a form of relaxation through movement,” notes Dr. Duarte. Studies show that this ancient mind-body practice can help reduce stress and anxiety, enhance mood, improve balance, flexibility and strength, and even ease chronic pain. 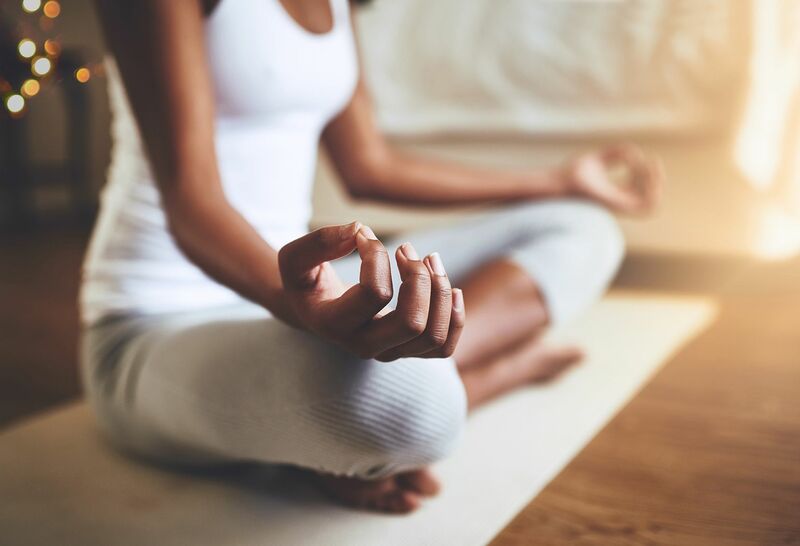 By lowering stress and anxiety, yoga can in turn lower your heart rate and blood pressure, which reduces your risk of developing health conditions like heart disease. There are many styles, forms and intensities of yoga to choose from, so it’s great for people of all ages and physical fitness levels. There are tons of apps, videos and classes out there to help you get started and discover which type feels right for you. Did you know that your brain interprets mental images similar to the way it interprets external events? This means that just thinking about something has the power to trigger the same physiological responses as if the thought was actually occurring in the world. This powerful mind-body phenomenon is the reason why you may salivate when you picture the chocolate cake you’re going to make for a birthday celebration, or become anxious just thinking about your upcoming work presentation. The good news is you can use this power to your advantage through guided imagery—a process in which you are guided to conjure up mental images that trigger peace and positivity. Research shows that just 10 minutes of guided imagery can strengthen your immune system and foster weight loss, as well as fight depression and fatigue. It can also reduce anxiety and lower blood pressure, cholesterol and glucose levels. There are many tools like apps and CDs you can try at home. And many wellness centers offer private imagery sessions as well as group meditation classes led by professionals. Once you master the technique, you can do it on your own whenever you like. Aromatherapy is the use of essential oils (naturally extracted plant materials) to balance, harmonize, and promote the health and healing of your body and mind. 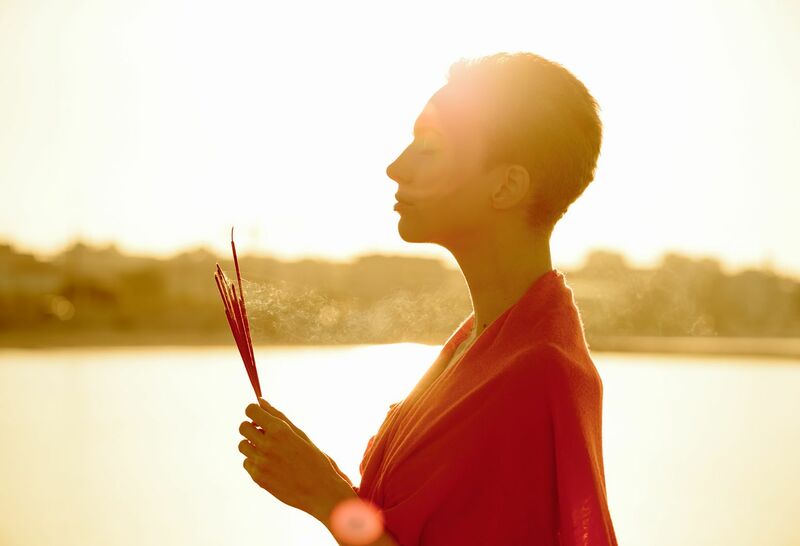 Relieve stress: This is one of the most popular and well-proven uses of aromatherapy. Lemon oil, bergamot, peppermint, vetiver and ylang-ylang all work well. Improve memory: Sage oil can help increase your memory capacity, studies show. Increase energy: Put down the coffee and try cinnamon, sage, clove, angelica or black pepper instead. They’re known to increase circulation, stimulate the body and mind, and increase energy levels. Speed healing: Calendula, rosehip, helichrysum and buckthorn oils can increase oxygen and blood flow and thus increase the rate of healing for many conditions. They can also protect wounds from bacteria. You can use a diffuser to disperse essential oils into a room, add a few drops to a bath, or place a few drops on a cotton ball inside a plastic bag and take it on the go. Just be sure to select pure or organic essential oils, not synthetic, to avoid contaminants and to receive their full therapeutic benefits. Remember to use essential oils with caution. Do not apply the oils directly to your skin, especially if you are pregnant or nursing. And children can be more sensitive to essential oils than adults, so use them sparingly if they will be in the room. Finally, consider acupuncture. 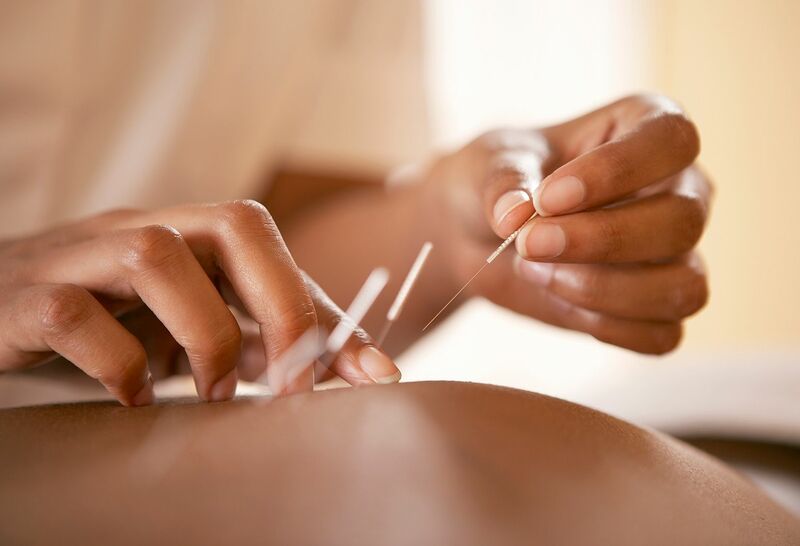 Originating from China thousands of years ago, acupuncture involves a trained practitioner inserting needles through the skin in order to stimulate specific points on the body. (Don’t worry, the needles are extremely thin and don’t hurt!) Studies show that this technique can ease many types of chronic pain, such and neck, back and knee pain, as well as frequent headaches. According to Eastern beliefs, acupuncture works by restoring the balance of the body’s circulating life energy, known as chi, which flows along pathways that are stimulated by the needles. Western medicine cites the "gate control theory,” meaning the needles activate peripheral nerves to shut the "gate" on (interrupt) pain signals traveling through the spinal cord. “When you’re experiencing pain, certain areas of the brain are activated. Studies have shown that acupuncture causes endorphins to be released from the brain, promoting internal relief, rather than relying on medicine,” Dr. Duarte says. In addition to easing pain, acupuncture may help combat other issues, like insomnia, digestive woes, stress, anxiety, and even infertility. Remember to pick a licensed professional who has experience in performing acupuncture for the specific condition you’re looking to treat. No matter which form of holistic therapy you try, it just may bring you a daily dose of inner peace, balance and well-being, as well as pain relief. Visit the Center for Wellness and Integrative Medicine. Find out more about Dr. Robert Duarte. Learn more about a holistic approach to health.